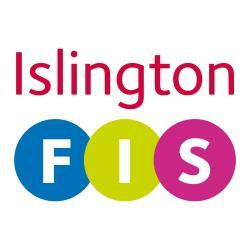 Islington FIS, Family Information Service, has information about all childcare available in Islington. You can use this directory to find childcare, by going to the Childcare and early education section, or by adding 'childcare' to the keyword search box at the top of this page and then your postcode in the place search. You can then refine your search using the filters. For further information, see the section headings below. See also our information on Paying for Childcare and free childcare and early education for 2, 3 and 4 year olds. Choosing childcare is an important decision for parents. Different kinds of childcare offer different experiences for your child, and you will need care that fits in with your needs. It is advisable to choose childcare which is registered. Ofsted registers and inspects childcare. Childminders look after children in the childminder’s own home. Most childminders work Monday to Friday, between 8am and 6pm, but some work flexibly providing care early morning, evenings, and at weekends. They can also provide part-time, before and after school and holiday care. The benefits of using a childminder include flexible childcare and early education in a home-from-home environment and use of all that the local community has to offer – stay and play sessions, parks, farms and libraries. Childcare on domestic premises is childcare in a home where four or more carers look after children at the same time. It’s a small nursery operating on domestic premises. Nurseries offer full or part-time places, for children from 3 months to school age, depending on the type of nursery. Full-time day care hours are typically 8am to 6pm, all year round (apart from a few weeks holiday) although a few private nurseries are open from 7.30am to 7pm. School nursery classes can take children from 3 years old, full or part time, but are only open during term-time. Some schools provide free early learning for 2 year olds. Children’s centre nurseries take children from 6 months to 4 years. Places are all year round, part time and full time. Parents who work or study and live in Islington are prioritised. There are catchment areas for childcare services. Community nurseries are monitored and supported by the council and offer full- and part-time places. Parents who work or study and live in Islington are prioritised. Sessional playgroups for children from 2 years’ old, are usually part-time and term-time only, although some operate a core day, 9.30am to 3.30pm. After-school and holiday playschemes are run by schools, community organisations and private companies. Depending on the age of the children, they are registered by Ofsted on the Early Years, Childcare or Voluntary registers. Nannies are employed directly by parents and look after children in the child’s home. Nannies do not have to register with Ofsted but parents should encourage a nanny to register with Ofsted on the Voluntary part of the Childcare Register (VCR) which requires basic training standards and a DBS check. Using a registered nanny also enables a parent to claim any tax credits or childcare vouchers to help with costs. If you use an unregistered nanny, you will have to carry out your own safety checks. Family or friends can be a convenient childcare option for some parents, but because they are not registered by Ofsted, it is not possible to get help with childcare costs from tax credits or childcare vouchers. Islington Council aims to support children of all abilities into all nurseries. Talk to the nursery and your health visitor or GP about your child’s needs. Each nursery has a special educational needs co-ordinator (SENDCO). There are some specialist schools with nurseries for children who have disabilities. Contact the FIS on 020 7527 5959 or visit www.islington.gov.uk/localoffer for help finding suitable childcare for disabled children. To find registered childcare in your local area, you can add 'childcare' and your postcode to the search boxes. The results you get will show all your options close to your home. You can click on each record to see full details of the childcare offered. You can contact childcare providers to arrange a visit and apply for a place directly with them. There is no central admissions system in Islington for childcare providers. Many providers will not have immediate vacancies, but you will be able to join a waiting list until a place becomes available. You can join as many waiting lists as you like and it is a good idea to give yourself a range of options. To find childminders advertising immediate or future vacancies, you can use the 'Childminder vacancies' filter in this directory. You can also meet Islington Ofsted registered childminders at a speed minding session - a stay and play session where you have the opportunity to talk to childminders. To find holiday childcare, see 'Holidays - childcare and fun things to do' in Related information'. Make appointments to visit two or three different childcare settings to compare what’s on offer. Check opening times, holiday dates and costs. Check what is included, or excluded from costs. The setting must be registered with Ofsted – check their inspection report on the Ofsted website www.ofsted.gov.uk Settings are inspected by Ofsted when they register to make sure they are meeting the requirements for safety and learning and development, but this inspection report is not published. Ofsted will carry out a full inspection and publish a report online within the first 30 months of registration. Give yourself plenty of time to choose, you may not always get a place at your first choice. What should I look for in a childcare setting? Does the childcare setting have a friendly feel? Do you feel welcome? How do staff interact with you and your child? Is it clean, light, well-ventilated and big enough for children to be active indoors and outdoors? All childcare providers must ensure children access the outdoors daily. If it's a nursery, does the baby room have access to an outside area and is it suitable? Where will your child sleep? Do staff always stay with the children when they sleep? Are there suitable places where the child can rest? Are the toys varied (do they differ in size, texture, colour and shape)? Do the children look happy? Are they engaged and having fun? Are the staff talking to the children in a way that interests and encourages them? Are there enough staff to keep an eye on all children? At nursery there should be at least one member of staff for every 3 children under 2 years, one to four children aged two and one to eight children aged three years and over. Childminders can look after up to six children under 8 years; no more than 3 children under 5 years (only 1 child can be under 1). Childminders may be able to look after more children if they work with assistants. Do staff manage behaviour appropriately? There should be a written policy for you to see. How will your child be settled into a nursery or with a childminder? What does the childcare provider want to know from you about your child? A good provider will help your child adapt gradually. What food is provided and is it healthy? Our speed minding sessions offer you an opportunity to meet Islington Ofsted registered childminders at a stay and play session. You can talk to childminders and find out about the services they offer. You can also talk to the Childminding and Childcare Information Officer if you have any questions about childminders as a childcare option. Ask to see references, certificates for qualifications, including First Aid, and DBS, Disclosure and Barring Service (DBS) disclosures. For further information about questions to ask to ensure your child is safe, see the leaflets on the Islington Safeguarding Children Board website. Children’s centres, early years centres, local authority school nurseries and community nurseries follow the council’s admissions policies. Private nurseries will have their own admissions policies, which are usually available on their websites.